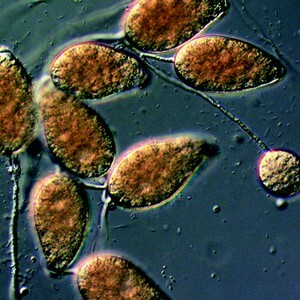 Scion has been allocated $10 million funding from the Ministry of Business, Innovation and Employment (MBIE) over the next six years (2013 – 2019), with significant co-funding from sector groups, to lead a collaborative programme to address the biosecurity threat of Phytophthora species to New Zealand’s primary agricultural, horticultural and forestry industries, and natural ecosystems. Without proactive intervention, the Government’s goal to increase export earnings to 40% of GDP by 2025 is at risk, along with the health of New Zealand’s indigenous and urban forest estates. Scion is taking a genus-wide approach to the research programme, building on our existing programmes for red needle cast, kauri dieback and other Phytophthora species. We are adopting a multi-host pathogen model for screening and selecting trees that are resilient to a wide range of Phytophthora species. Three hosts have been selected that are vital to our primary export economy and natural heritage – radiata pine, apples and kauri. Eight Phytophthora species have been selected that straddle the forestry, horticulture, and natural and urban estates: P. pluvialis; P. cactorum; P. agathidicida; P. cinnamomi; P. multivora; P. kernoviae; P. ramorum and P. pinifolia. 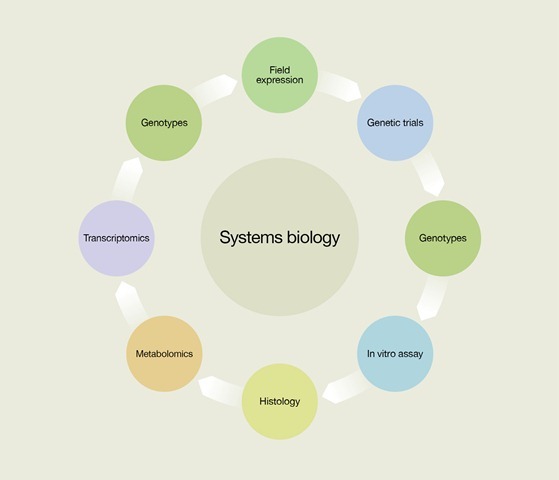 A systems biology approach will be applied to characterise the host-pathogen interaction from molecule to tree, to gain a better understanding of the mechanisms of disease resistance. This involves techniques such as pathology, breeding, NMR, mass spectroscopy and next generation sequencing. The aim is to build a library of pathogen profiles for future identification and screening purposes, which will aid the development of disease management and breeding programmes for resistance to a broad range of Phytophthora species.